From the late eighteenth century to mid-nineteenth century, as the world changed through conquest, colonialism and capitalism, a set of people rose around the world, reacting against such changes. Ironically, global historians – historians who look beyond regional and local causes – call these men prophets in an ode to Abrahamic religions. During this period of encounters and social changes, these charismatic leaders revitalised traditional ways and reorganised societies to challenge foreign institutions and ideas. Garnering support of broad swaths of society, they promised to restore lost harmony, bring in a new moral order, and a bright future. While global historians were able to find leaders for such movements in China, Middle East, United States, Mexico and Europe, they missed the leaders of the First War of Independence in India and fell back on the same old narratives. As we look at examples from around the world, we get to see some of the qualities and methods of these leaders who influenced fields as diverse as economics, politics and religion. Due to encounters with the Western world, new ideas circulated in the Islamic world and alarmed by the lax religious practices and attempts by rulers in Saudi Arabia and sub-Saharan Africa to model their administration along European lines, leaders arose to return Islam back to its pure form. In Saudi Arabia, this led to the rise of Wahhabism under the leadership of Ibn abd al-Wahhab (1703 – 1792) whose work still influences the modern world. In West Africa, Usman dan Fodio (1754 – 1817) too attacked unbelievers and false religions and his movement led to Islam becoming a majority religion in the Nigerian region. During this period, leaders also provided political leadership and created larger states from tribal clans. As Africa became overpopulated and there was competition for cattle-grazing and farming lands, small family clans found themselves overwhelmed. This traditional structure which had existed for centuries could no longer cope with the changes brought by long distance trade. It was the right moment for a cruel and powerful leader like Shaka (1787 – 1828) to rise up, wipe out other clans and unite the winners into a large monarchy, which in turn led to the creation of the Zulu kingdom. In the United States of America, Native Americans had to compete for land with the European colonisers who forcefully took over their land. 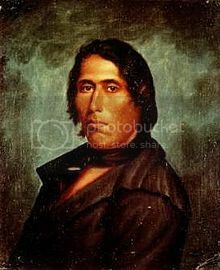 As a reaction, groups under leaders like Tenskwatwa (1775 – 1836) and Tecumseh (1768 – 1813) exhorted their followers to renounce European goods and shun the missionaries. They tried to forge unity among native Americans, but were eventually betrayed by the British and left to perish. In China, after a humiliating defeat in the Opium War that forced the country to open other ports to foreign merchants, there rose a fear of western power. During that period, as the rulers became inefficient, masses of people joined what is known as the Taiping Rebellion, motivated by a Christian leader named Hong Xiuquan (1813 – 1864). Like the Islamic leaders in Saudi Arabia and Nigeria, his goal was to return China to an era before it was corrupted by human conventions. Their war was not against the Europeans, but against the Chinese leaders who they thought were the main obstacle in obtaining God’s kingdom on earth. Hong came up with a radical new system which basically countered all the established Chinese traditions, but in the end it was defeated. Analysis of these prophetic movements across the world show that whenever there is a structural change – in religion or rebellions – it is triggered by a leader. These revolutions were not accidents, but the result of planned action by certain individuals who inspired the masses through messages, symbols and charisma. In the pantheon of prophets we see leaders like Jacinto Pat and Cecilio Chi who led the Mayans in 1847 by blending Christian rituals with Mayan beliefs, Charles Fourier who had a utopian socialist vision and Karl Marx who inspired many nations and their leaders with this theory of proletarian revolt. While many such movements were defeated, the ideas they created lived longer. When global historians evaluate the “Rebellion of 1857” in this context, it is mentioned as an uprising which was sparked by the greased cartridge controversy. Compared to the other global revolutions, this one was not triggered by any prophet, but was a spontaneous uprising or mutiny and it was after the uprising happened that leaders came up. But if one asks questions like how thousands of Indian soldiers marched successfully to Delhi without a supply line, it is evident that something is missing from the known narrative. New, as well as ignored evidence now tell us that the Anglo-Indian war of 1857 was a carefully planned operation. Leaders like Baija Bai Shinde, Nana Saheb and his Diwan Tatya Tope, Begum Hazrat Mahal, and the Nawab of Banda were involved in the planning using red lotus flowers and chappatis to count the number of soldiers and ensure the commitment of the villages along the army path. Letters translated for the first time in Parag Tope’s “Operation Red Lotus” reveal that Tatya Tope was aware of military movements, logistics and provisions. Global historians alone cannot be blamed for this lapse because Indian historians themselves have not accepted this view. Then, misrepresentation of the war of 1857 is not new. Depending on the bias of historians, it had many interpretations. According to the official version by Surendra Nath Sen, it was a spontaneous uprising. Marxist historians marginalised the leadership and saw it as a peasant revolt. Another Indian historian wondered how it could be a war at a time when India was not a nation. Now we know that the leaders of the war of 1857 used symbols (red lotus) and messages (Azamgarh proclamation) similar to the prophets of China and USA, and promised a new moral order where people would have political, religious and economic freedom. Thus, the Anglo-Indian war of 1857 doesn’t have to be relegated to a secondary status in the global prophetic narrative as it satisfies the criteria met by the others. Tignor, Robert, Jeremy Adelman, Stephen Aron, Stephen Kotkin, Suzanne Marchand, Gyan Prakash, and Michael Tsin. Worlds Together, Worlds Apart: A History of the World: From 1000 CE to the Present (Third Edition).W. W. Norton & Company, 2010. Tope, Parag. 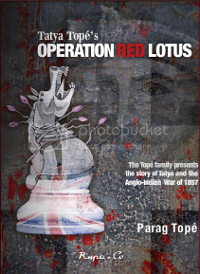 Tatya Tope’s Operation Red Lotus. Rupa & Co., 2010. In the 19th century, Britain went on a world wide bloodthirsty rampage: they were involved in the Crimean War (1853 – 1856), Anglo-Indian war of 1857, Second Opium War (1856 – 1860) and the Anglo-Sudan War (1870s) and a photographer named Felice Beato was present to capture all of them on film. 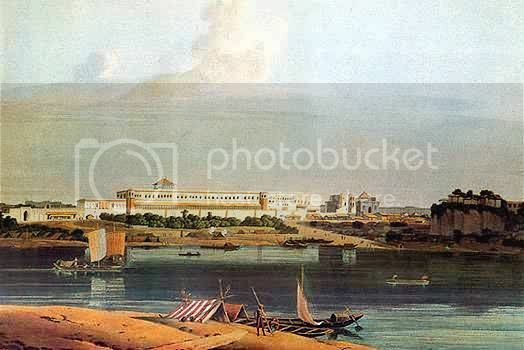 Like Ibn Batuta who roamed around Dar al-Islam documenting the customs and traditions of various countries, Beato visited the countries occupied by the British and captured the war, landscapes and local life using the newly invented medium. Felice Beato: A Photographer on the Eastern Road by Anne Lacoste and Fred Ritchin features a selection of photographs he took in India, China, Burma, Korea and Japan covering significant events in the history of those countries. For people back in Britain, Beato’s photographs gave an early realistic depiction of the cultures they had conquered. His photographs about India during the Anglo-Indian war are important now not just because of their historical significance, but also because they reveal a lot about the colonial attitudes of that period. Felice Beato was an Italian who had settled in Constantinople as an apprentice to Scottish photographer James Robertson. In 1858, he left Constantinople for Calcutta and spent the next two years photographing the final phases of the Anglo-Indian war of 1857. Beato did not introduce photography to India; British officials were already using for more than a decade and there were photographic societies in Bombay, Calcutta and Madras. 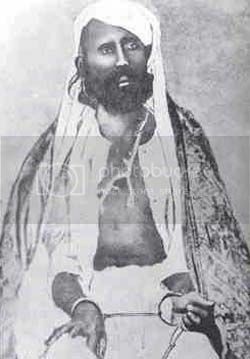 By the time Beato reached Calcutta, the war of 1857, which was planned by leaders like Nana Saheb, Tatya Tope, and Baija Bai Shinde, had shocked the English and they had retaliated using extreme brutality. Citing the murder of women and children at Cawnpore (Kanpur) by Indian soldiers, they discarded their usual pretence to civilized behavior and embarked on a death march to clear the villages which supported the army. At the start of 1858, Delhi and Kanpur were in English hands; Awadh was cut off from Central India and Lucknow’s fate was uncertain. Kalpi was the headquarters of the freedom fighters and Tatya Tope and Rani Laxmibai were still holding out. Beato went to Cawnpore, Delhi and Lucknow and documented the damage caused by the war. Photographers of that period had severe technological limitations: the equipment was heavy and the photographer also had to carry glass plates and chemicals. Since lengthy exposures were required and the negatives had to be developed within minutes, the photographer could not be in the middle of the battle; he could capture the scene before the battle or after it was done. He reached Lucknow a few weeks after the city was captured by British forces under Sir Colin Campbell and one of the gruesome photographs he took in Sikandar Bagh shows a partially destroyed building with skeletons scattered all around with a few locals passively watching them. The skeletons were of the 1,800 Sepoys bayoneted by the British troops and left to the dogs and vultures in November 1857. There is controversy regarding this photograph: Sir Colin Campbell probably not wanting to suggest that the corpses were left to rot in the open wrote that Beato dug up the bones and laid them out for dramatic effect, but a reporter from The Times who visited Sikandar Bagh around the same period remembered many skeletons still lying around. Even if it was staged, there was nothing unusual about it. His contemporaries who were covering other wars too did it for dramatic effect. Another photograph from the same period shows the hanging of two sepoys: In the picture two people are hanging by their necks watched by a group of turbaned soldiers. The caption claims that the soldiers were from the 31st Native Infantry who were being hanged in Lucknow. Even that is not without controversy. First, the 31st Native Infantry did not participate in the war and second, they were based in Sagar. So it is possible that there is a mistake in documentation or that they simply were villagers hanged by the English as part of their campaign of brutality. Beato, the lucid strategist, was on the side of the British and showed no compassion for the conquered or the dead. He was quite different from the British soldier named Clive Branson who served in India in 1942. Madhusree Mukherjee’s Churchil’s Secret War mentions Branson who roamed around the countryside visiting villages and socializing with the locals since his unit was not doing anything important. As he traveled, he felt ashamed of his country and the fact that he was one among them. Beato never felt that way. He earned his living by selling photographs like the hangings to soldiers and onlookers as souvenirs as well as by taking flattering portraits of Army officers. He ingratiated himself with British officials and his enthusiastic documentation of their triumphs got him a into prominent locations like Lucknow as soon as it was retaken. He also was an ‘embedded’ war photographer in the Second Opium War and captured the war in all its horror. Each catastrophe thus cemented his reputation. Another area in which he specialized was architecture. Thus when he went around India, he took pictures of the Taj, Benares, the Golden Temple and various palaces. He also specialized in taking panoramic shots. Currently you can use the stitching feature of photoshop software to generate panoramas from a series of photographs, but during Beato’s time you had to take a series of overlapping photos carefully, develop the negatives quickly to maintain the uniform tone and join the pictures manually. His panoramas in India include those of Delhi, Lucknow, Qutub Minar and the entrance to the Juma Masjid which were around five to seven feet in length. Beato was not caught up in political correctness and photographed British brutality for commercial benefits. He took photos of drawings of beheadings in Japan and photographs of dead bodies in China; in China one of the military surgeons noted Beato walking with excitement among the dead, photographing them before they were removed. Due to Beato’s photographs, the blurry words of historians become indelible images. In their commentary on the photographs, the authors write that the hanging photograph brings up questions like “How did the British officers decide to hang the Indian soldiers? Did they hold any trial? What were the responses of the men to their impending execution?”. They don’t offer answers, but the answers can be found in Parag Tope’s Operation Red Lotus which presents a dramatically different version of the war of 1857 based on never before translated letters and eye witness accounts. He argues that the official policy of Britain to suppress the insurrection was to target thousands of civilians including women and children and this policy was one of the reasons why India lost the war. Sepoys of mutinous regiments who could not give a good account of themselves were hanged. From Beato’s images we know that even some from non-mutinous regiments may also have been hanged. Two important photographs taken by Beato are not there in the book. One shows the Lal Bagh, the place in which General James Neill was shot and the other, the Residency where Sir Henry Lawrence was killed. These photographs don’t depict cadavers or skeletons, but form an important point in the narrative of the war of 1857 where two war criminals met justice. As you flip through the book, you see the conquered locals of India, China and Korea among demolished buildings and their conquerors in flamboyant settings. This contrast explains the story of the East better than many thousand words.